Here's a bit more information about Exmouth. We originally didn't intend to stay here for 7 nights but as it is Western Australia school holidays we have been limited where we can go and where we can get in for the next 2 weeks. So we decided to have a week here in Exmouth and just relax with no driving, setting up, packing up and checking out touristy stuff every day. I had no preconceived ideas about Exmouth and I have been pleasantly surprised. The caravan park we are staying at is Exmouth Cape Holiday Park and is very nice - pretty busy with families - but nice. 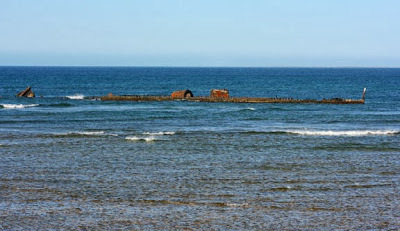 Exmouth is situated on the Exmouth Gulf and is renowned for being one of the world's most treacherous coastlines as it is surrounded by a coral reef. 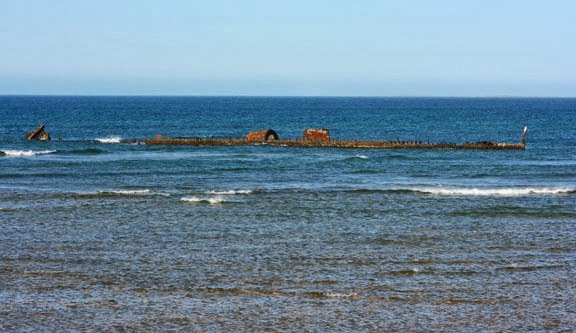 One of the casualty's was the SS.Mildura, when on March 8th, 1907, the 2,217 ton ship left Port of Wyndham loaded with 498 cattle, bound for Freemantle. Four days later confronting a looming cyclone she struck the reef. All members on the ship survived. The cattle were turned loose to swim ashore, less than one kilometre, but most died in the attempt. All the way along the Western Australian coast we have been trying to get a nice feed of fresh prawns, but to our dismay we couldn't get them anywhere. 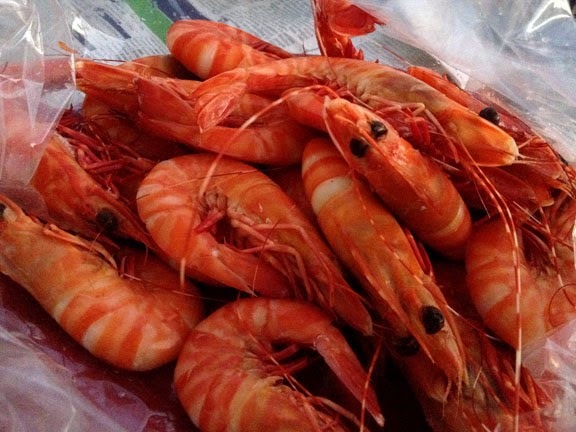 But as soon as we arrived here we saw a sign Fresh Prawns Now In !!!!! WooHooo it was fresh prawns straight of the boat for dinner. 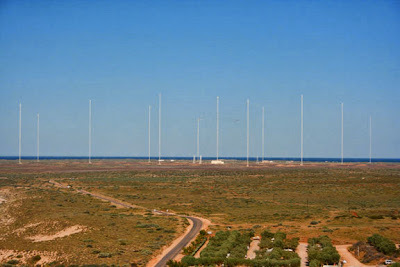 In 1963 and agreement between Australia and U.S.A led to a Naval Communication Station being built in Exmouth in 1967. It was later renamed US Naval Communication Station Harold E. Holt, in honour of the late Australian Prime Minister, who disappeared while going for a swim at Cheviot Beach near Melbourne on December 17th, 1967. Today, as an Australian Naval Communications Station it continues to play a vital role in the secure operation of the Australian submarine fleet. The worlds largest Very Low Frequency transmitter, and the 2nd tallest structure in the Southern Hemisphere, Tower Zero at 387.6 metres is surrounded by 12 other towers. It is quite an amazing sight driving up to them and even more amazing standing near the base of one. Weighing 800 tonnes, Tower Zero can withstand winds of up to 500kms per hour. Which is pretty handy up here as this is a fairly popular place for cyclones to visit. Must have something to do with the English heritage I'd say Mark. So glad you can join me on my adventure.